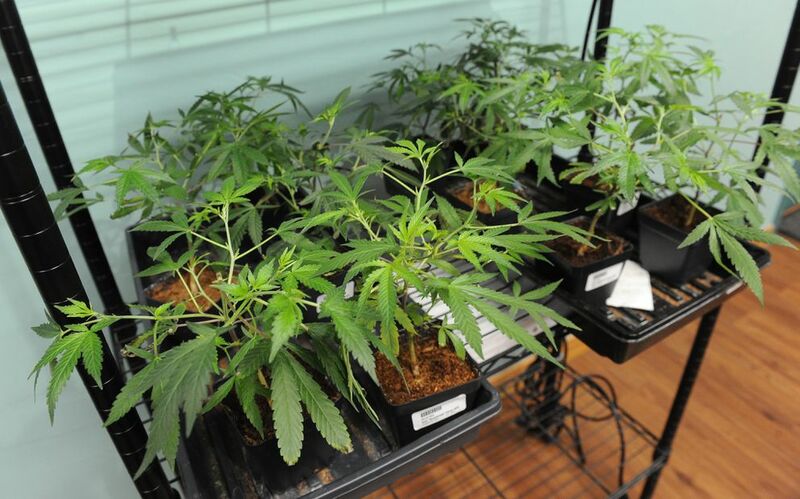 Marijuana retailer Enlighten Alaska, in Anchorage's Spenard neighborhood, opened in February. The shop is a family operation: the co-owners are Jane Stinson, her daughter Leah Levinton and son Evan Levinton. 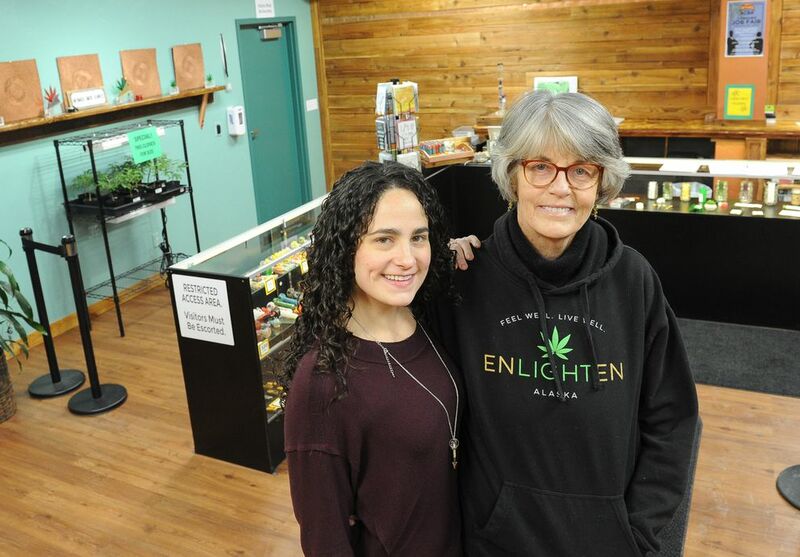 Jane and Leah talked to the Anchorage Daily News about how business has been going in Alaska's cannabis industry during Alaska's recession. How do you see the state's economy affecting you right now? Leah: This is our first year of operations so we're still collecting data. But I would say, reflecting on 2017, we've had a very successful year. Jane: We went into the summer knowing we'd probably be pretty successful just because it was so new, and all the tourists. We weren't sure about going into the end of the year, but the (Permanent Fund dividend) was a huge surge for us. And then since then, it's been pretty steady. … We aren't really noticing the recession in this store. What were your thoughts as a business opening during a time like this? Leah: We had mixed feelings but we thought, hey, alcohol has proven to remain successful even during a downturn in economies, so we were pretty much crossing our fingers and hoping that with cannabis being a brand new industry … So we had, I would say a cautiously positive outlook. Jane: I was actually more worried about the outside forces. We have these nagging issues that just are out here nagging us about banking — using cash all the time, that's a worry. That's always in the back of our mind, about getting robbed or whatever. Are you guys profitable yet? Jane: We see it being profitable this next year. Things are looking good and positive. Leah: We're starting to see more regulars. People are trusting us because we provide a foundation of education and information here. And I also think that people are recognizing cannabis as a way to relax and reduce stress. And in times of recession, that's really critical. That's a form of self-care that we support. Wasn't that your philosophy going into the business, the health standpoint? Jane: Wellness. And educating. It's really crazy, since we've been open, a lot of our customers are my age, or in the 50s and 60s. Leah: I would say probably 40 percent of our demographic are the baby boomers. Leah: I think that the allure for the baby boomers is that it's safe, it's accessible, it's transparent. … And it doesn't feel like you're walking down a back alley. Jane: And there's so much more that people can try. … It's not just the flower. That makes it easy for people who had that, "Oh, I had brownies 50 years ago and God, it was awful," and come in wanting to try it again. 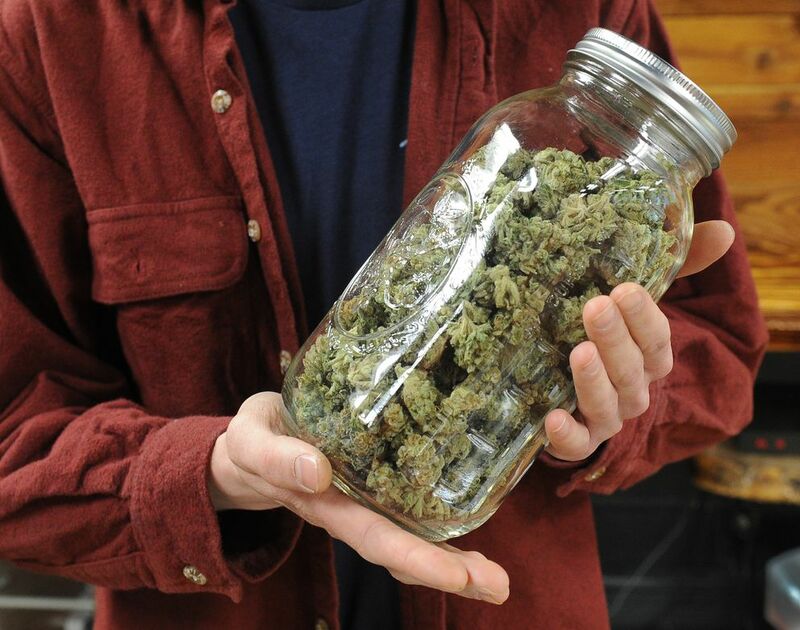 What is the impact when stories come out about things like what happened to Frozen Budz (a Fairbanks edibles company that had its manufacturing license revoked after the state said it found issues with its product)? Jane: We had to take half our edibles off our shelves. … Then there's the image piece, too, that may affect all of us in the industry because of that one incident. It's this brand new industry, how do you deal with all these unknowns that come up? Jane: When something happens like the break-in at Danish Gardens, we all knew about it right away, and you just take that incident, which you don't expect, and figure out what the best thing to do is to not make it happen. We've been broken into twice. We're just dealing with it as best we can. Leah: A lot of what we do is manage how we operate in accordance to compliance, to state regulations. Tell me about how you compete with all these stores that came online around the same time. Leah: Developing our brand was the most critical. And we quickly developed a reputation of being a very open, family-owned and -operated business. … We're trying to do positive things in the community, too. Jane: We got out there early and had a lot of good press because of it. There's word of mouth. What are your biggest concerns in the near future? Jane: I don't know that the recession is going to affect us in the future as an industry. I just don't see that happening. Leah: I think people shave off other luxuries when they're looking at their discretionary income, but they still come back and purchase wine and beer and, apparently, cannabis. … I would say in terms of the regulations, it's a lot to pay attention to. Jane: I think one of the main concerns that we have going forward is just all the work we have to do to help people understand, to move this industry forward. What did you tell them (your kids) about marijuana when they were younger? Did you tell them never to do it? Jane: We told them we didn't think it was a good idea, and we didn't do it. But at some point in time, we knew they were doing it. It just wasn't something we were too concerned about. We were much more concerned about alcohol. Leah: I didn't consume cannabis in high school but … my parents always gave this very open energy about talking about anything. So they didn't necessarily say a strong no, but they said, this is not a good idea, we want you to focus on your studies. … But we didn't really talk about it, either. … But I knew they smoked in the '70s. And then you (Jane) started smoking again later? Jane: And that just turned out to be a blast.